For these biscuits ice with sugar paste, butter cream or water ice (not too wet). 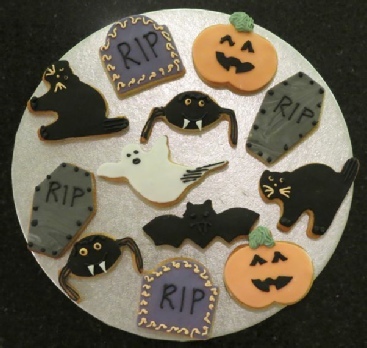 Halloween cutters are easily available from shops or on line. 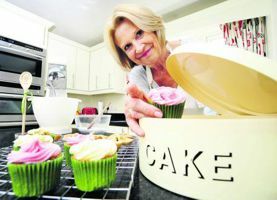 Like the cakes the flavour is kept simple. 2. Beat in the egg and essence. 4. Roll the dough out on a floured surface to about ½ inch thick. 5. 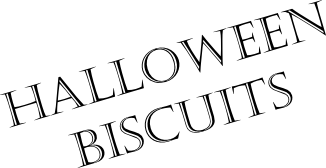 Cut out your Halloween shapes and place on a parchment lined baking tray. 6. Bake at 190ºC for about 10 minutes and cool on a rack. 7. Decorate with your chosen icing and leave to harden.